Home / National / National Topics / New / Should there be reservation system in Institution ? India has been riddled with a rigid caste system for ages. The job reservation of SC, ST and OBC was provided in the constitution as a short term major to improve the lot of this underprivileged section of the society. This reservation in government jobs has been continued since then. The Mandal Commission had recommended reservation of OBC's in jobs as well as in educational institutions, which vP Singh government tried to implement in 1990. It lead to the downfall of his government. 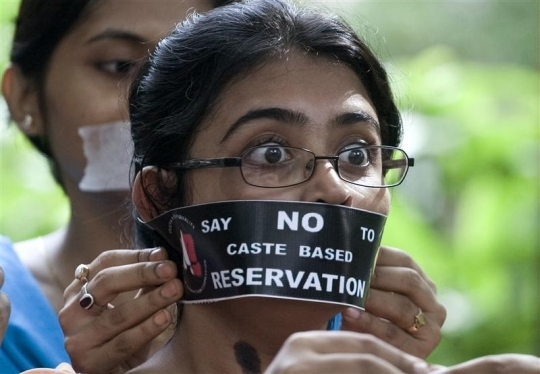 When the supreme court delivered its controversial judgement in August 2005 abolishing all caste based reservation in unaided private colleges, it provoked a backlash that has since revived the dormant Mandal issue. within 4 months to rollback the apex Court verdict and maintain a status quo. This insured that none of the long entrenched reservation for SC sT and OBC in private professional colleges especially in Southern states are disrupted.The HRD minister has now a proposal to introduce 27% reservation for OBC in 20 central universities the IIT and iIMs taking the total percentage of seats in the reserved category to a whopping 49.5% . The lower castes specially that the Dalits have been suppressed for centuries. They have been segregated as " untouchable" by the upper caste and condemned to live in misery. Mahatma Gandhi voiced roles and work for their upliftment. The constitution provided for job reservation but the condition of most of these underprivileged class remains deplorable even today. The main reason for this sorry state of affairs is there economic backwardness. The young people of these communities get very little opportunities to equip themselves with better education so as to enter into highly skilled and professional fields. 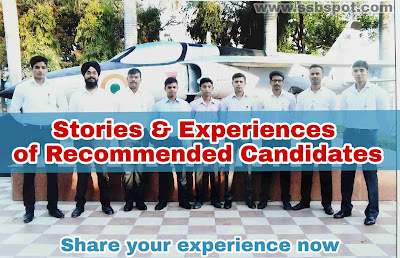 It is therefore necessary to provide them an opportunity to enter into the elite professional Institution. The general conception is that only meritorious have a right to enter into the Institution of Higher Learning. These so-called meritorious boys and girls are meritorious because they got the opportunity of better education with their parents could afford. The apprehension that reservation in admission and jobs would lower the standards and compromise the quality if is unfounded. Social indicators reveals that Southern states and part of Western India have fared far better socially and economically then the rest of country despite having caste based reservation for decades. If the notification of 27% reservation for OBC in the elite institution of Higher Learning is issued the number of seats available to general category would be Halved. The technical professional requires people of high talent and so we need to respect merit as the sole criterion for admission to the technical and managerial institutes. The IIT and IIM have produced engineer and manager who are in great demand in western countries. This institution have built a reputation of world-class Excellence. The standard of the graduates from this institution will come down if the best available students are not taken in. The talented candidates who failed to get admission in these institutes will then turn to foreign universities. And hence Brain drain occurs. We are likely to lose them forever. It is not just seats one is worried about but autonomy and excellence. At a time india is poised to emerge as a power house offer academic talent, it can ill afford a dilution of academic and professional standards through short sighted policies. Last time when vippy Singh introduced the Mandal quota in jobs iT leds to a bloody anti reservation stir. It May happen boss this time. Although no wonder nice the fact that lower caste in India have been getting raw deal of Ages but when it comes to help them for a better life people get divided. The body of merit is raised to thwart any measure contemplated for their uplift. The root of the problem is that the younger people from lower caste do not get an opportunity for better education. At the same time the same is true even for high caste economically weaker section. There is no denying that access to good Institutions should be available to all but this is not the way to go about it. The government must go Beyond The Mandal Mantra and look for innovative ways of providing equity and access to the marginalised groups. A better method would be adopted economic backwardness as Criterion for help which could be in the form of scholarship and freeship. There could be a talent search amongst the children of economically weaker section and then the talented one should be adopted and spotted financially to provide best of education. Such a measure would enable them to compete with the privileged children on equal footing.